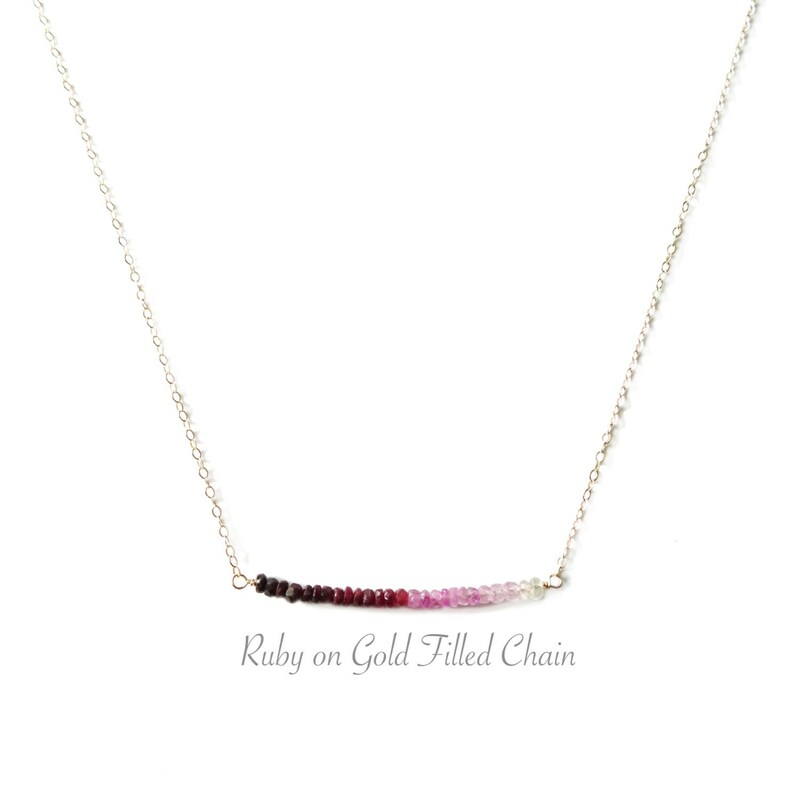 This genuine ruby bar necklace is one of a kind and perfect way to feature the July Birthstone or to wear for Valentine's Day!It looks fabulous layered with other necklaces like this gold filled satellite chain. 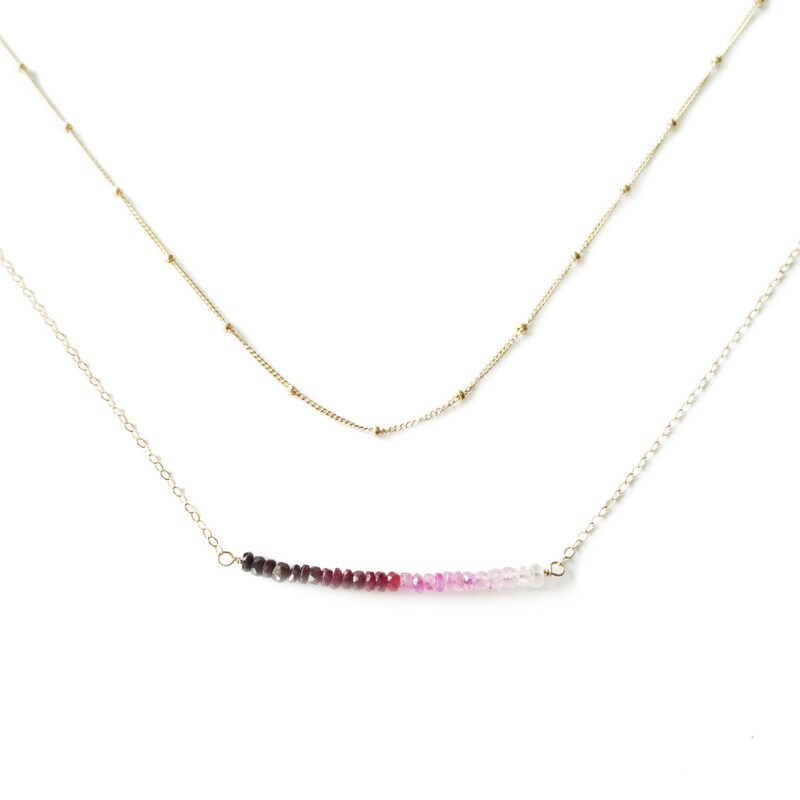 Hand selected faceted rubies transition from dark ruby red to bright white in this gorgeous ombre ruby bar necklace. 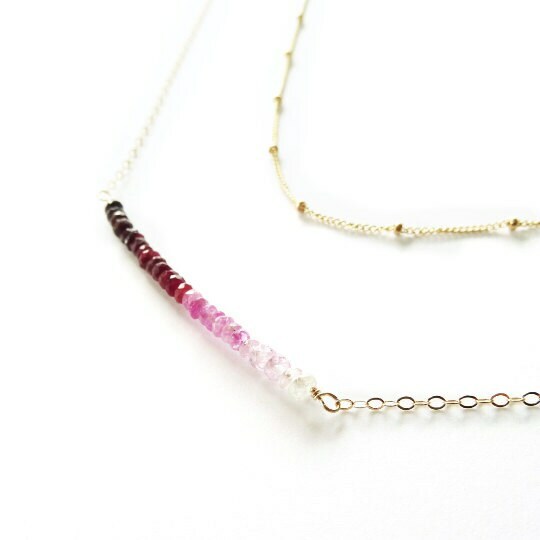 I wire wrapped these little ruby babies using 14k gold filled wire onto a gold filled chain. 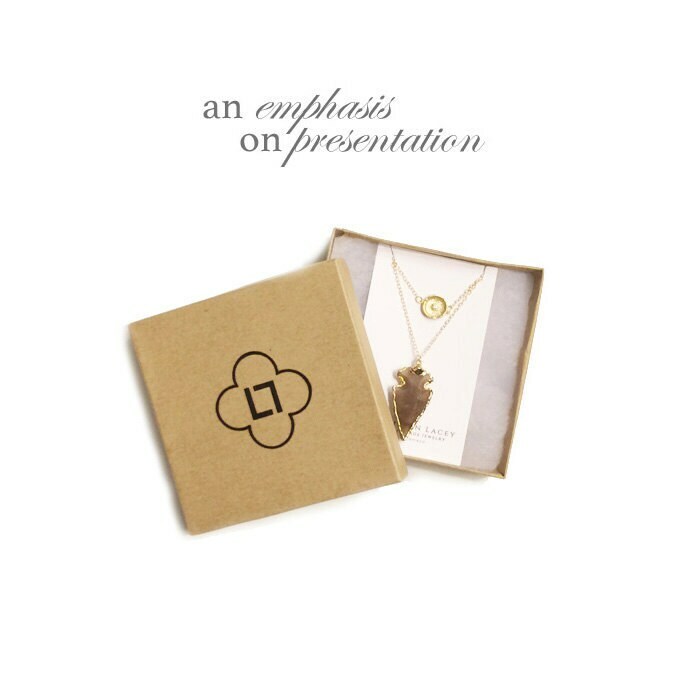 This is a high-quality piece that is made to retain its luster and last for years. Absolutely darling! I love it, thank you. oh my goodness this is a beautiful necklace! I wish I would have ordered both! the quality is well done...just love the rubies! Beautiful necklace, very happy with the quality. Shipping was very fast. Thanks! 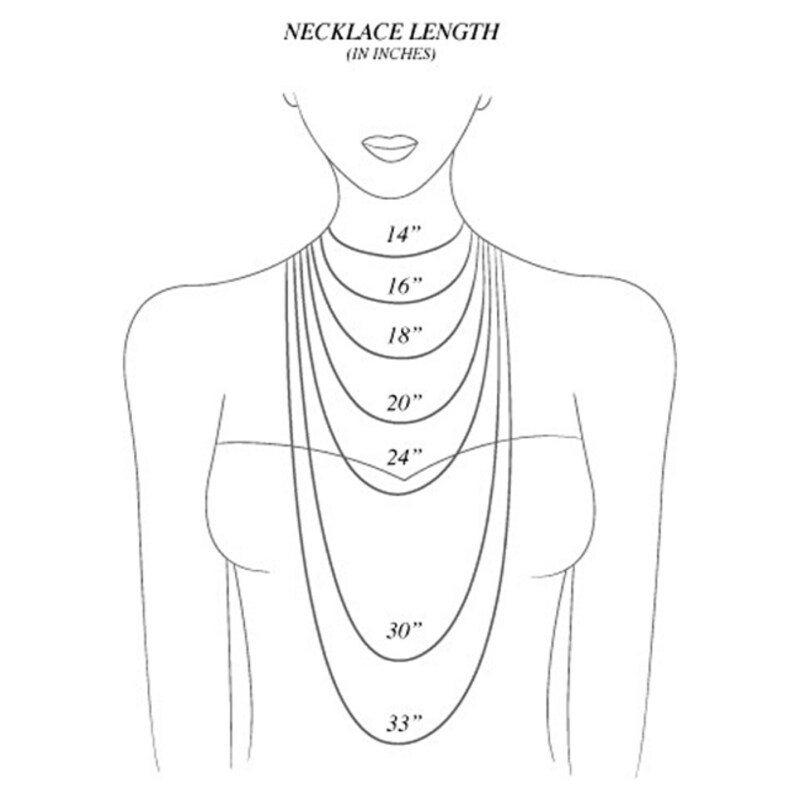 These necklaces are fantastic! They are very sturdy and the colors are marvelous. I will be using them as my bridesmaid necklaces and I cannot wait until my girls wear them. Landon was very easy to work with and accommodated my request!